Mobile networks have changed from circuit switched to IP-based mobile wireless packet switched networks. This paradigm shift led to new possibilities and challenges. The development of new capabilities based on IP-based networks is ongoing and raises new problems that have to be tackled, for example, the heterogeneity of current radio access networks and the wide range of data rates, coupled with user requirements and behaviour. A typical example of this shift is the nature of traffic, which is currently mostly data-based; further, forecasts based on market and usage trends indicate a data traffic increase of nearly 11 times between 2013 and 2018. The majority of this data traffic is predicted to be multimedia traffic, such as video streaming and live video streaming combined with voice traffic, all prone to delay, jitter, and packet loss and demanding high data rates and a high Quality of Service (QoS) to enable the provision of valuable service to the end-user. While the demands on the network are increasing, the end-user devices become more mobile and end-user demand for the capability of being always on, anytime and anywhere. The combination of end-user devices mobility, the required services, and the significant traffic loads generated by all the end-users leads to a pressing demand for adequate measures to enable the fulfilment of these requirements. 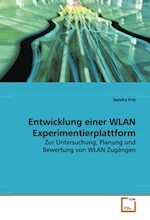 The aim of this research is to propose an architecture which provides smart, intelligent and per end-user device individualised traffic steering for heterogeneous mobile networks to cope with the traffic volume and to fulfil the new requirements on QoS, mobility, and real-time capabilities. The proposed architecture provides traffic steering mechanisms based on individual context data per end-user device enabling the generation of individual commands and recommendations. In order to provide valuable services for the end-user, the commands and recommendations are distributed to the end-user devices in real-time. The proposed architecture does not require any proprietary protocols to facilitate its integration into the existing network infrastructure of a mobile network operator. The proposed architecture has been evaluated through a number of use cases. A proof-ofconcept of the proposed architecture, including its core functionality, was implemented using the ns-3 network simulator. The simulation results have shown that the proposed architecture achieves improvements for traffic steering including traffic offload and handover. Further use cases have demonstrated that it is possible to achieve benefits in multiple other areas, such as for example improving the energy efficiency, improving frequency interference management, and providing additional or more accurate data to 3rd party to improve their services. 12 publication(s) - all categories.